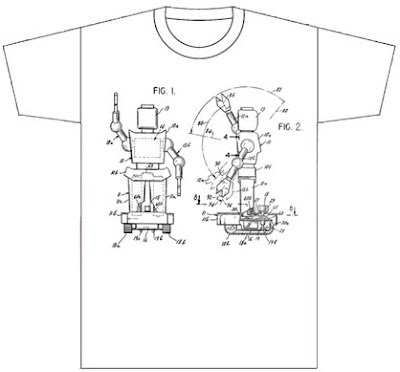 How cool is this new range of T shirts from Bleeple. 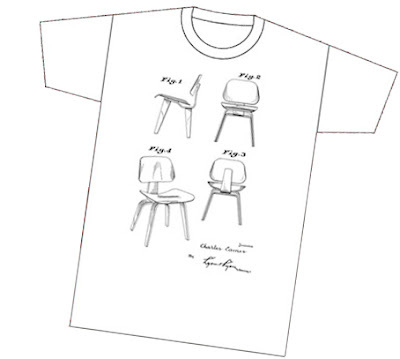 Designers Wendy and Mark have created wearable design using the original patent drawings of some iconic creations including the Eames chair, the Batmobile and the Zippo lighter. 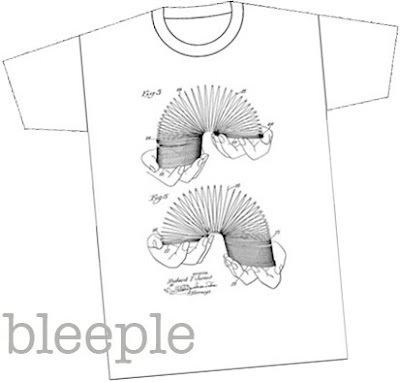 Bleeple have "spent many long hours searching through tons of patent drawings to find the grooviest designs of objects both useful and whimsical, so we could bring together a unique collection of beautifully hand screenprinted t-shirts of desire for you". The Ts come in classic white, black and grey marle and would make the perfect Christmas gift for a hard to buy for designophile. I'm sure you know at least one of them. I know I do.